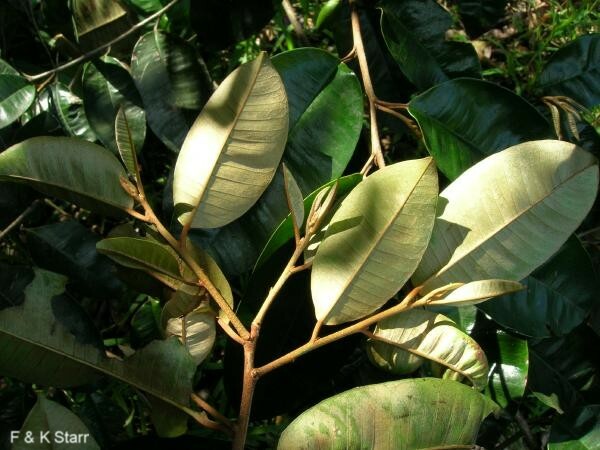 Comments: The leaves, the size of those of Southern magnolia, are dark green above and a glowing, bright copper color beneath. This provides a beautiful, two-toned effect when breezes cause the leaves to flutter. Has a high drought tolerance and few insect and disease pests. Cannot tolerate freezing temperatures.